Anyone that knows me will tell you that I am not a big reader, my imagination is non-existent and I very rarely get the time. If the opportunity arises I would always pick an autobiography because people fascinate me. If anyone knows me really well they will tell you that I have a slight girl crush on Dawn O’Porter. She first appeared on my radar around 2008 when she did a documentary on Dirty Dancing, which is one of my all time favourite movies. I loved the way she talked about it and how it was a part of her childhood, I connected with her instantly. I’ve followed her career since then and loved all the other documentaries, webcasts, crazy You tube videos and tv work that she’s done. Most of all, I love her Twitter. She is so honest and real and tweets about her love of food and her pets and Roy from the IT Crowd. 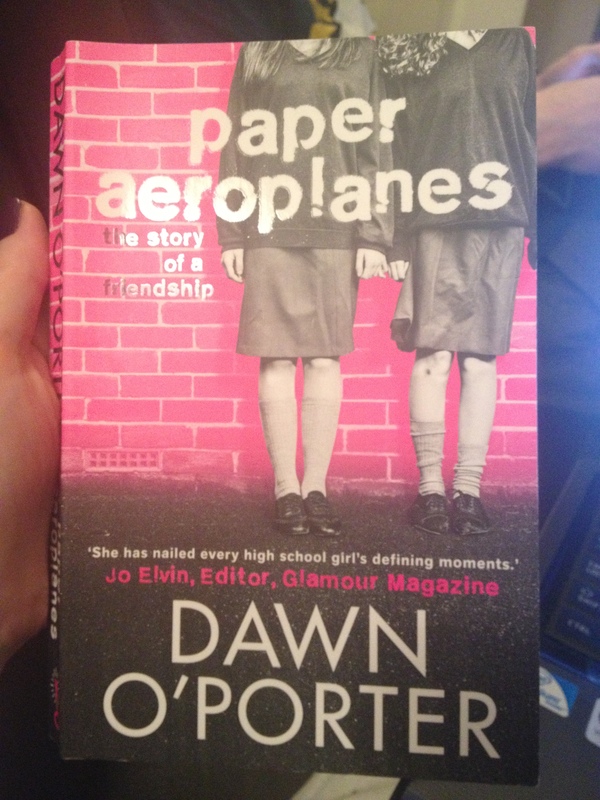 When Dawn announced she was writing a book I was really looking forward to seeing what it was all about. 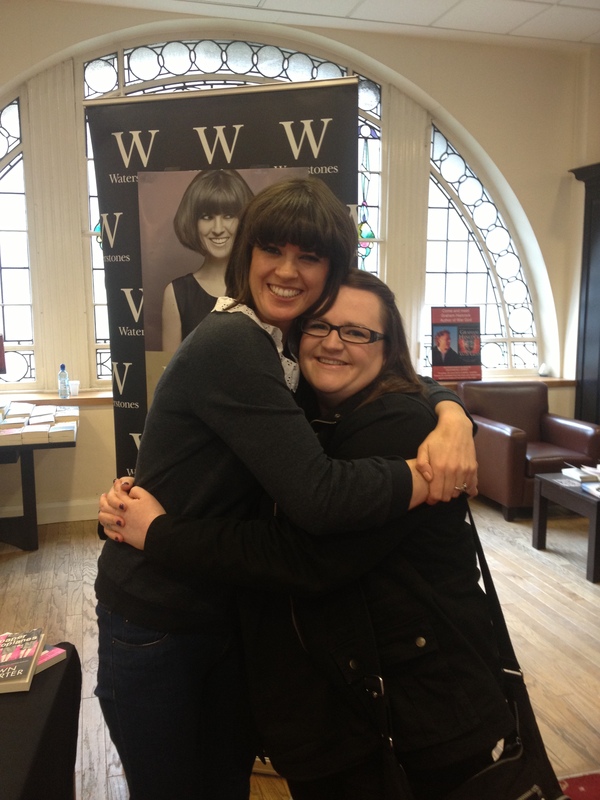 Then she announced she was doing a book tour and Glasgow popped up on the list and I was so excited at the thought of meeting her. A few years ago she did something really lovely for me and I wanted to say thank you to her in person. On Tuesday I got my chance. She arrived in the book store with her lovely Dad and was waving to all the people in the queue, a few minutes later she started the signing. As uncool as it is to admit I was really nervous when I walked over to her. 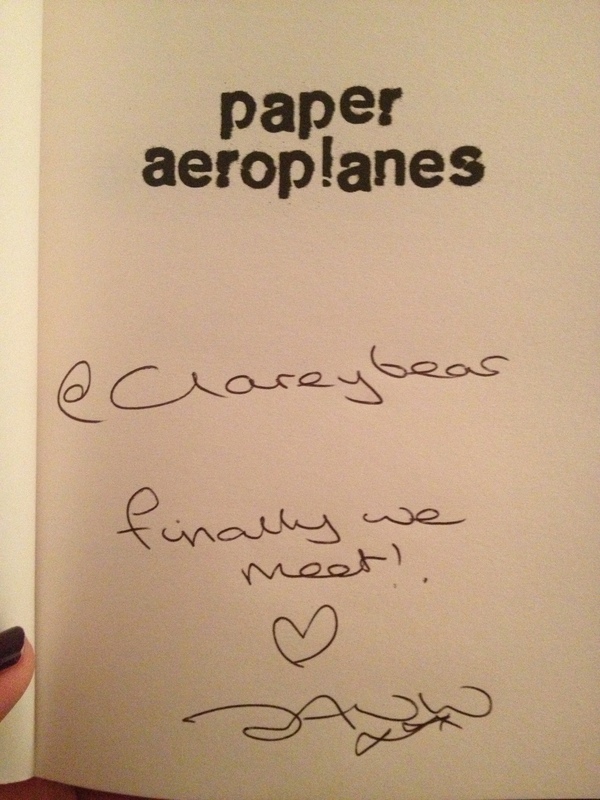 She was lovely and hugged me then asked who the book had to be made out to, when I told her Clareybear she got back up and gave me another hug and was chatting away about how nice it was to finally meet me! OMG. We chatted for a few minutes and then got a picture with her. I was lucky enough to speak to her again once the signing was over and even asked her Dad to adopt me, turns out his rates are very reasonable 😉 Cheers Big Bill! Once I got home I was back in Mum mode. I got Miss B organised and in bed, tidied up and cleaned the kitchen and then settled down to read. I read it in a few hours and it had me hooked from page 1. It is set in the mid 90’s and follows the story of 2 different girls who become friends for life although there are several obstacles along the way and the story is told from each of their view points. I loved the stories of both girls and how tormented they were in their own ways. I also loved the pop culture references about reading Smash Hits and listening to Blur on the radio. Oh and the shell suits, god help us, the shell suits. The main theme of the book is the love story between the girls and it is so real it makes it easy to tune straight into. I laughed, cried, sympathised and felt for the girls and I definitely identified with one more than the other. My high school years were horrible and it made me think a lot about my own teenage life. I coasted my way through school trying to keep out of my peers way as much as I could, keep under the radar and out of sight. When I left high school in 1997 I was a mess and felt like a total failure, I wanted to hide away from the world and wasn’t sure how my future would pan out. Thankfully there was light at the end of the tunnel and I turned my life around and now when I look back I don’t recognise the 16 year old me at all. While I was reading I wanted to shout out to the girls “Don’t worry, you will be fine I promise” and I meant it too. Needless to say, I love the book and my girl crush on Dawn is now even stronger than it was before. 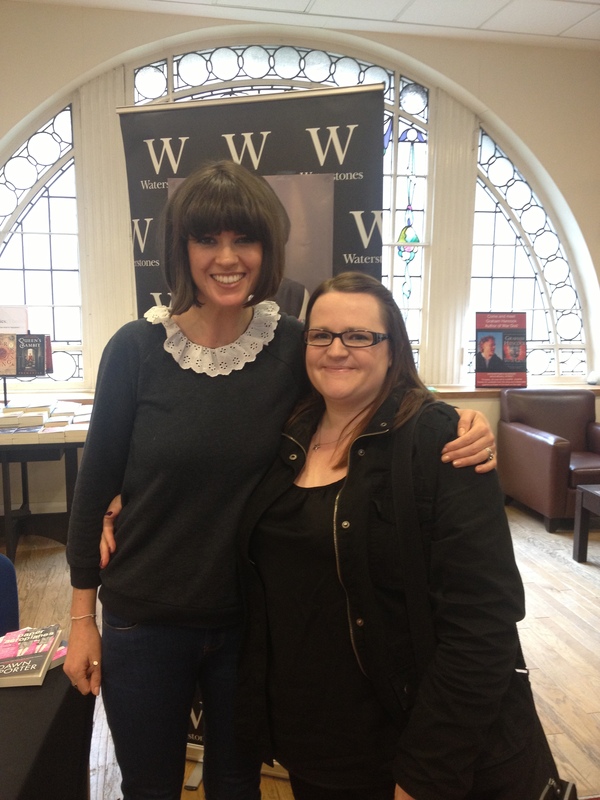 So I would just like to say Dawn O’Porter you were even lovelier, sweeter and prettier in the flesh than I was expecting. Thank you for writing such a great book and I can’t wait for the next one.